In 776 B.C.E, about three thousand years ago, the first Olympic Games took place. Originally, the games were part of a religious festival to honor Zeus. He was the god of the sky and the leader of the Greek gods who lived on Mount Olympus, the highest mountain in Greece. Where Were the Ancient Olympics Held? The Olympics was one of four all-Greek (Pan Hellenic) games. Even though the games were named after Mount Olympus they weren’t played there. Instead they were held in the religious sanctuary of Olympia near Greece’s southwest coast. The land there was beautiful and rich with olive trees. What Events and Awards Were Part of the Ancient Olympics? At the beginning, the games were just short foot races designed to keep Greek men fit for the intensity of war. The path for the foot races was about 700 feet long and straight. It was also wide enough for twenty men to run side by side. Only men who spoke Greek were allowed to take part in the races. Men ran the races without any clothes on. Gradually, other events were added but there were no team sports like in the modern Olympics. Also, there were no medals like the gold, silver, and bronze medals we have today. There was only one winner and he was given a wreath of olive leaves as a prize. But these weren’t just any olive leaves. These olive leaves were taken from a sacred tree that was located at Olympia behind the temple dedicated to Zeus. To reward his mastery of the events, a statue was built in the winner’s honor. The games were held once every four years in August. Over time other events were added. Horse races, chariot races, boxing, and wrestling were all popular events in addition to the foot races. There was also a special event that consisted of five different sports activities: wrestling, running, the long jump, disc throwing, and spear throwing. Were Women Allowed to Participate? Married women were not allowed to attend the Olympics and women weren’t allowed to compete in any of the events. There was a separate women’s festival that was called Heraia and was dedicated to the honor of Hera, the wife of Zeus. At the height of the games over 20, 000-40, 000 people attended. The Olympics were so important to Greek culture that the city-states stopped all their battles and observed a special truce for a full month before the games started. During this time, men could train for the events and participants could travel to the games without fear. Merchants also traveled to the games to sell food and other items. The Ancient Olympic games were held for over a thousand years and ended in 393 AD when the Roman emperor Theodosius banned them. He had outlawed the worship of the ancient gods because of new beliefs in Christianity. The buildings were eventually torn down and the city was buried under earthquakes and floods. The modern Olympics were started in 1896 by a French educator and historian by the name of Pierre de Coubertin. Pierre loved sports and felt that the world’s countries would have more of an opportunity for peace if they gathered together to play sports. He designed the five color rings that are used to represent the Olympic Games today. The rings stand for North and South America, Africa, Asia, Europe, and Australia. At the beginning of the games a flame is lit. The flame begins in Olympia and is passed from torch to torch until the location of the games is reached. The location changes every time the Olympic games are played. 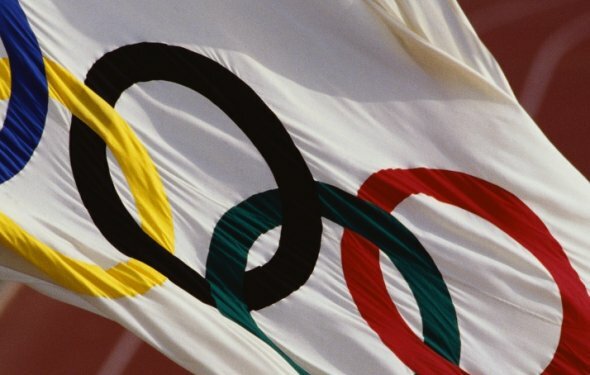 Today the Olympic games are the largest sporting event in the world. There are summer and winter games and over 30 sports are played. Men and women from all over the world compete to win the gold, bronze, and silver medals. Composition - 80% Cotton, 20% Viscose and Polyester blend. Finish - Backed with lining and tunnel for easy hanging. When was sports invented in ancient Greece? Sport was not invented in Ancient Greece at all. More in Ancient Egypt. However the first Olympic games were held around 776 BC if that's any help. What was the main sport in Ancient Greece? bash and wrestle), pentathlon, chariot racing. Sophistication is the quality of refinement — displaying good taste, wisdom and subtlety rather than crudeness, stupidity and vulgarity. In the perception of social class, sophistication can link with concepts such as status, privilege and superiority. In social terms, sophistication can be seen as "a form of snobbery".